We cannot sing enough praises about Minted! They have paper options for every stage of the wedding process including bridal shower, engagement party, save the dates, bachelorette party, and full wedding invitation suites! They have a community of independent artists who offer a style for every brides design. 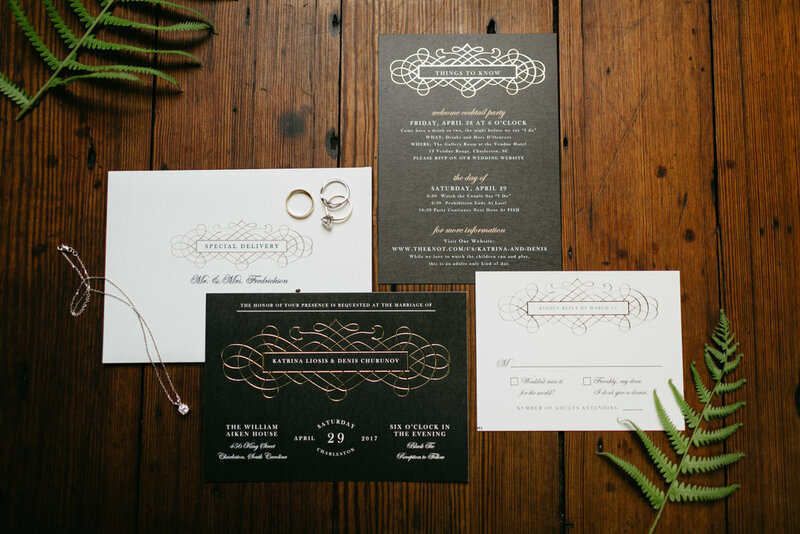 Minted makes it a seamless process and gives you the option to edit or create a completely custom design. They offer guest addressing for you at no charge which is also a huge plus and time saver! You can choose from 100's of unique wedding websites with matching invites available. Minted is a one stop shop for all of your stationary needs! Here are some fun invitations from brides in the past!